On Thursday 14th February, the school was visited by John Pinkney (humanoid) and Nao (robot) from the Warwick ICT Development Service. Kingsbury High School’s Head of Technology, Chris Carver is currently working in partnership with John, promoting new technologies that enhance and develop teaching and learning. This partnership directly led to the opportunity to be the first school in London to host Nao. ALDEBARAN Robotics has introduced the humanoid robot into schools world-wide, in order to increase student interest in science, technology, engineering and mathematics (STEM). Nao was welcomed to KHS by the Head Boy & Girl. He will be on roll as a student until March 8th and is in school to demonstrate how he can engage and inspire students and help with the teaching of ICT and engineering. Nao will be treated like any other student, take part in all aspects of school life and will be expected to arrive on his first day dressed in the new Kingsbury High school uniform. Watch out for further updates on how he is gets on at Kingsbury High School. 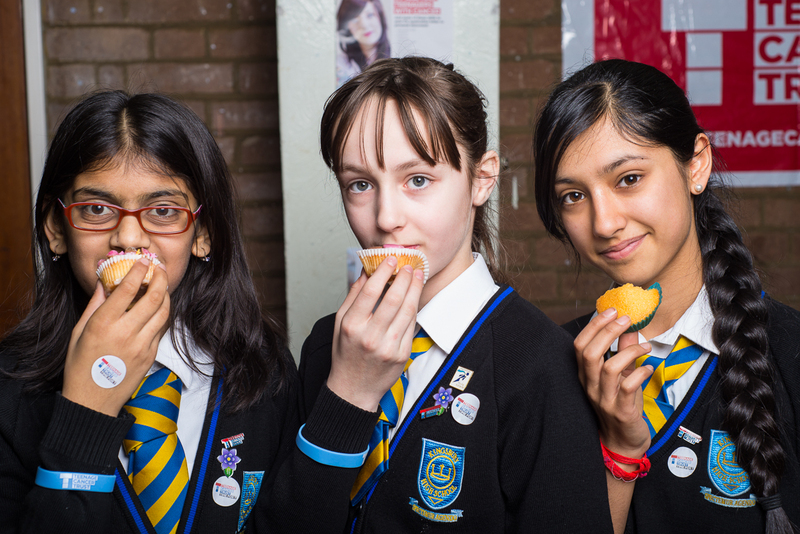 Kingsbury High School students raised over £150 for the Teenage Cancer Trust by running a Book & Bake sale over three consecutive days this week. The event, part of Year Eight’s year long Wise Up! Face Up! Stand Up! project to both increase cancer awareness and raise funds for three chosen cancer charities, was conceived and organised by Year Eight student, Chloe, with the help of Ms Snow and fellow students; Vanisha, Meesha, Remsha, Nitika, Jenikia and Habeeba. Chloe and Vanisha created posters to promote the sales, while parents/carers and students both donated books and baked a huge variety of cakes. 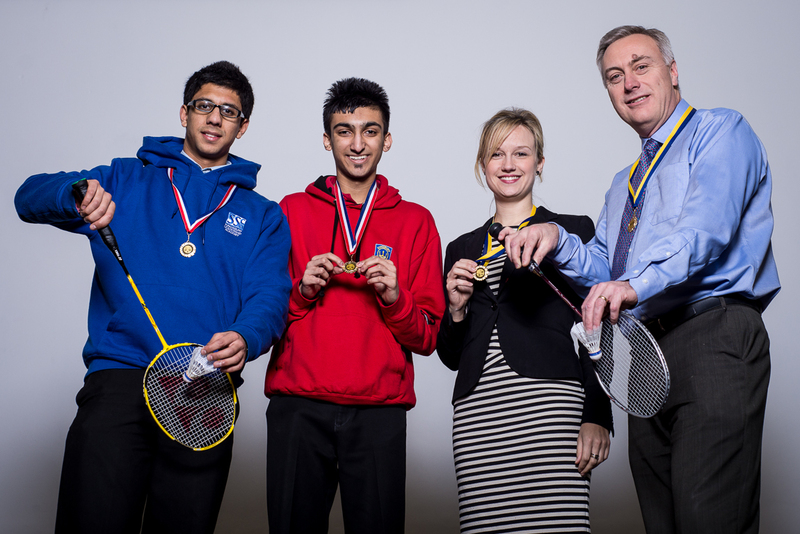 A Brilliant Badminton Bonanza for St. Luke’s Hospice! On Friday 08th February 2013, 22 staff and 26 students held a badminton tournament to raise money for St. Luke’s Hospice in Kenton. The staff won by 62 games to 32, and this was coupled with a very friendly, yet suitably competitive, atmosphere. Congratulations must go to the staff winners, namely Miss Kincaid and Mr. Lineton and to the student winners, Neel Gandhi and Mukund Vekariya. A grand total of £497.26 was raised for the Hospice, so many thanks to all the students and staff who contributed. 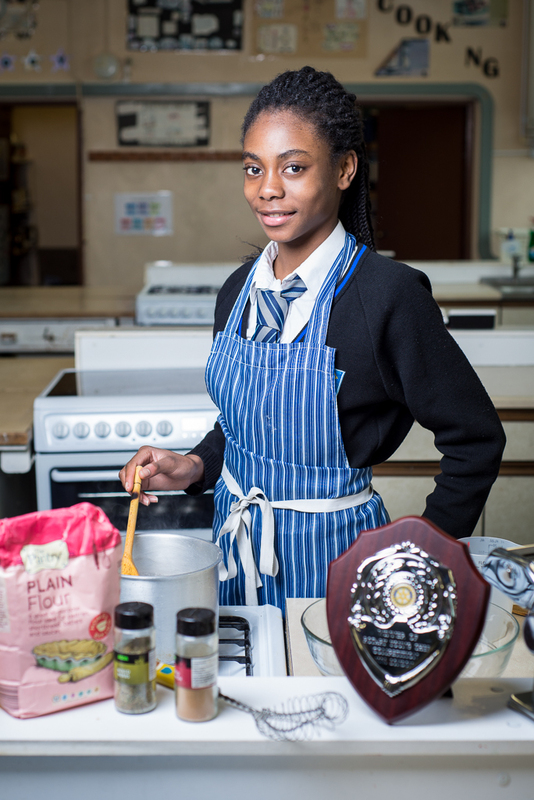 Year 10, Kingsbury High School student, Olivia Taiwo, winner of the school heat of the RIBI Young Chef Competition, last week, cooked her way to victory once again, this time in the North West London area final. Olivia’s winning menu of, mushroom and prosciutto ravioli in a sage butter sauce with asparagus and herb jus and a pear and butterscotch frangipane tart with butterscotch sauce, clotted cream and a caramel shard, wowed the judges. Olivia will go on to compete in the London final which will be held at Westminster Kingsway on Saturday 9th February 2013. Mr Jamieson needs YOUR help! In a special assembly on Friday 22nd March 2013, Mr Jamieson, a Kingsbury High School Deputy Head Teacher, will be publicly arrested on charges of confiscating hats and hoodies from students. 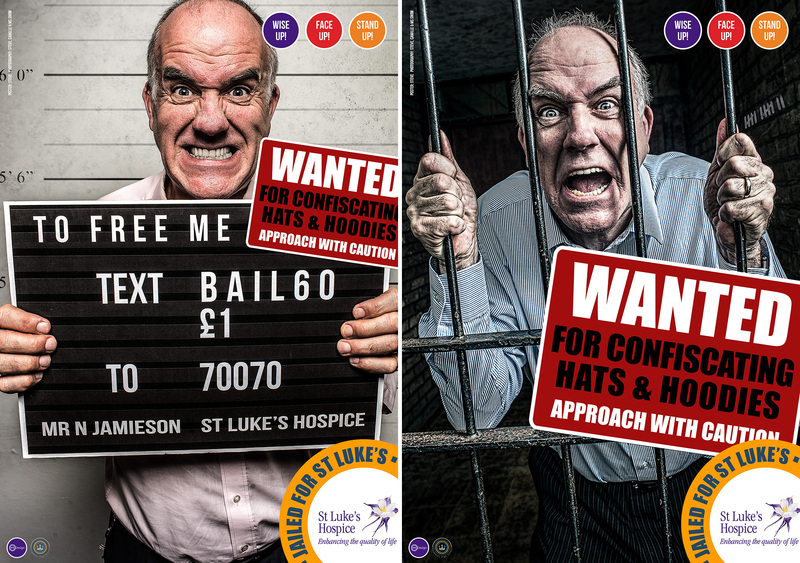 We will need to raise £1,000 in bail money for St Luke’s Hospice, Brent & Harrow, before they will consider his release. Mr Jamieson should be approached with caution, particularly by inappropriately attired students. Please dig deep and donate now.